In case you didn't get the memo, this post should clear things up quite nicely. I'm a scrapbooking dork. 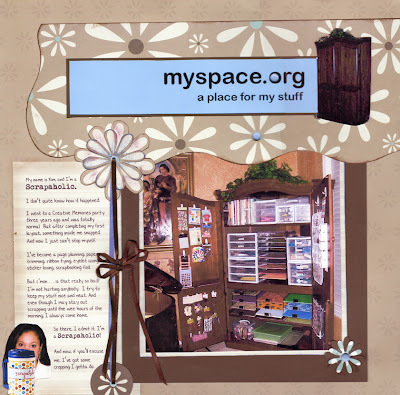 I know that I've lost it because not only have I scrapbooked pictures of my kids, like normal people -- I've scrapbooked pictures of my scrapbooking space. You're all just jealous you're not a scrapbooking genius like me.